Well Summer is meant to be here (I mean we had about 5 days of nice weather didn’t we?). I am ever the optimist so I decided to make Little Miss her first ever dress. I have done loads of sewing before but I rarely use a pattern and the only clothes I have made from scratch before this are a dress for me (didn’t turn out that well) and a union jack waist coat for little man. I decided to use this pattern as it has a number of different classic styles that I can easily adapt. I was impressed with how easy it was to use. I’m quite dyslexic and so struggle with patterns (I find them jumbled and complicated), so was surprised by how easily everything fitted together. Would you like to see the finished article? Isn’t it summery? I’ve decided to force as many dresses on her now as I can, as, if she’s anything like I was as a girl, she’ll shun them as soon as she can! 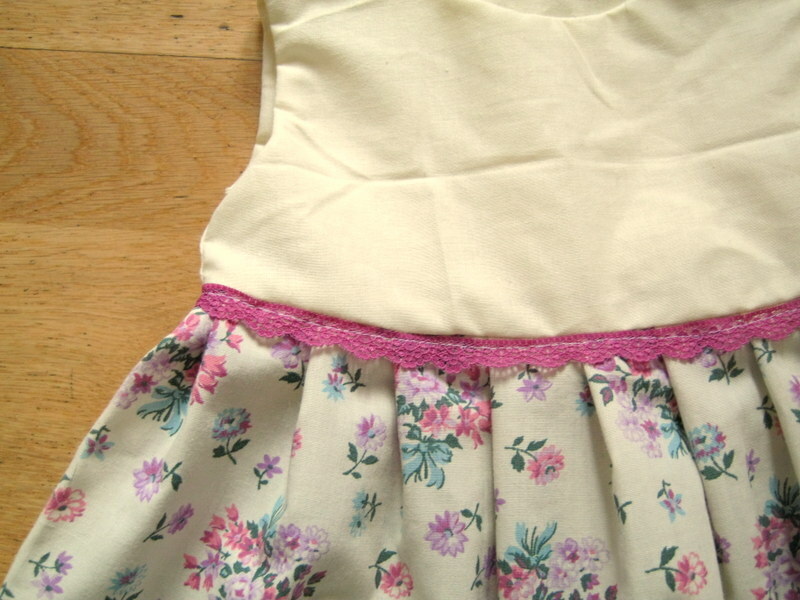 I decided to use a cotton with a flower print for the skirt and a plain cotton for the bodice. 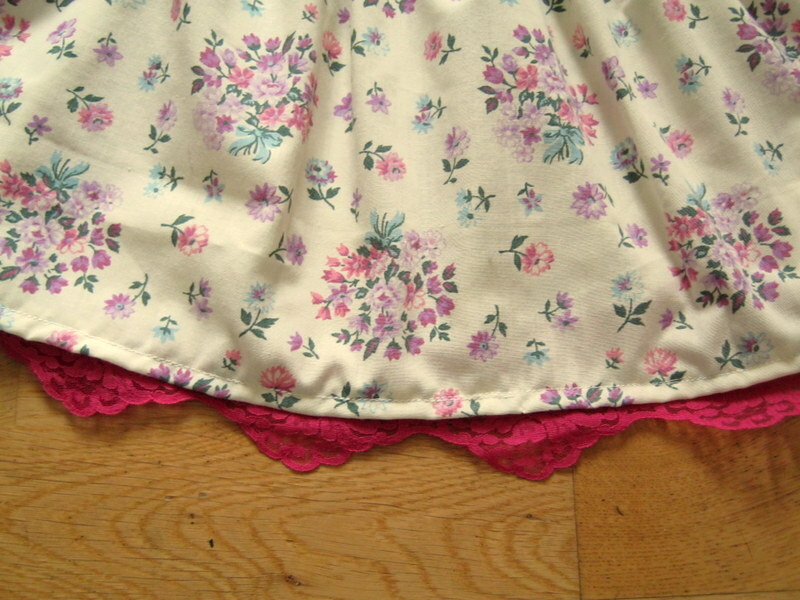 I added this pretty pink lace to the bottom of the skirt. I like how it kind of looks like it’s peeping out. I had a play around to see which side of the skirt the ribbon looked best on and then sewed it into place. 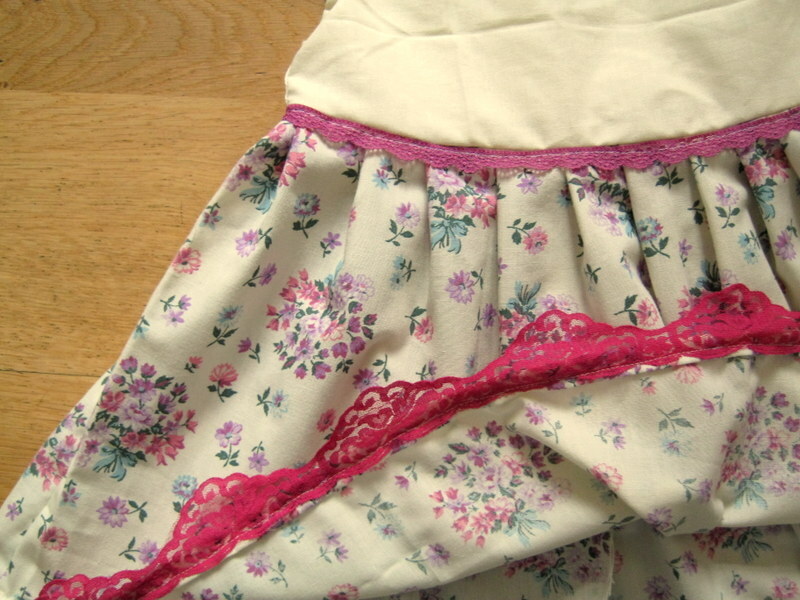 I added the purple lace to the top of the skirt to add a little more texture and pull the bodice and skirt together. This was meant to be a practice dress as I wanted to make a special one for little miss’ dedication on Sunday but in the end it turned out so well that I’m going to put her in this one and save the fabric for her first birthday instead. I think what I like best is the simplicity of it. I’m pleased I decided to take the plunge and try and make it. I will definitely be making more! In fact I may already have bought some new fabric. 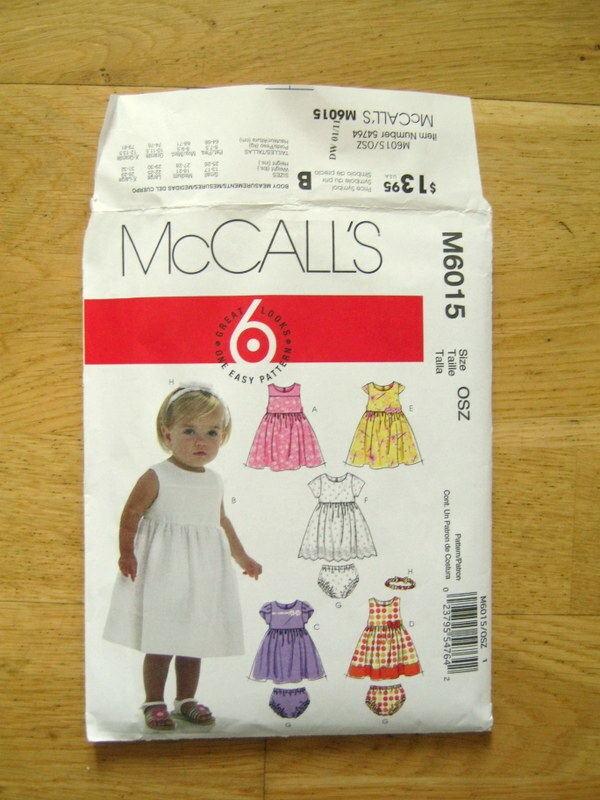 If you have never tried making clothes before, I encourage you to give it a go! 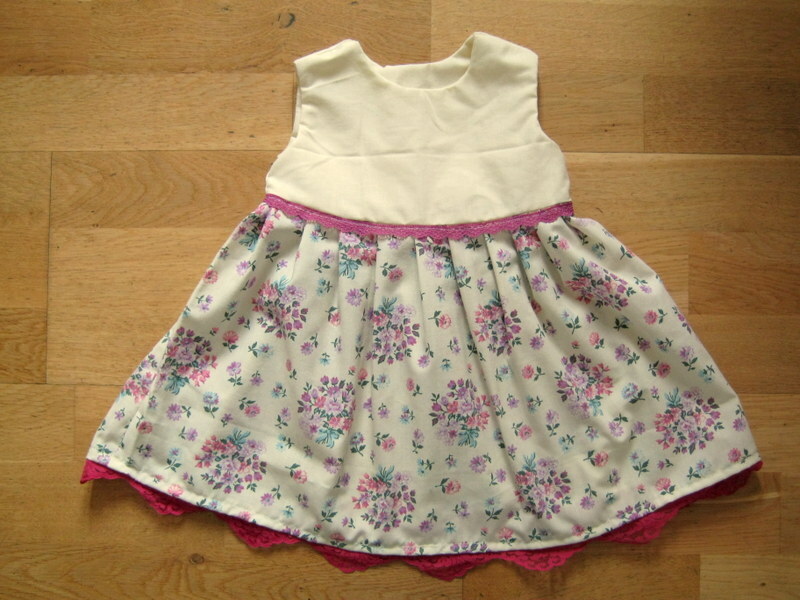 Such a pretty little dress, I have two boys so didn’t get to sew such lovely things for babies.